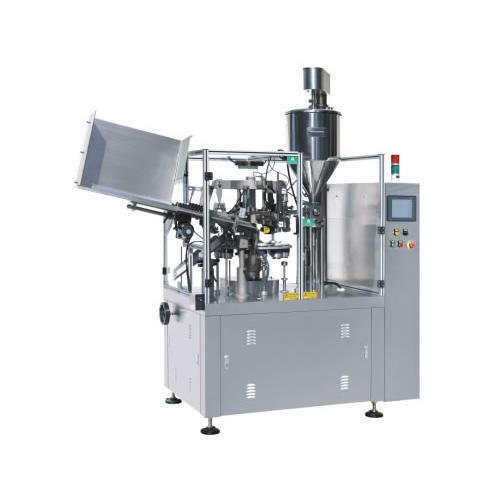 In order to fulfill the ever changing demands of our clients, we have been engaged in offering a quality range of Monoblock Ointment Filling Sealing Machine. We have a team of professionals with advanced machinery engaged in manufacturing and supplying superior quality products. To cater to the requirements of our valued clients, we are offering our products in varied specifications. We are Precious Mineral Processing Systems Private Limited, incorporated in 1986 is engaged in manufacturing, supplying and exporting an impeccable range of SBall Mills, Processing Plants, Industrial Pulverizer and many more. These are manufactured using high grade components and other material, employing latest technology. Besides, we also render fabrication services for our Turnkey Based Plants & Machinery. All our products are developed under the supervision of strict quality controllers as per the industry set quality norms and guidelines. Our products are acknowledged for their sturdiness, dimensional accuracy, low maintenance and resistance to rust. We also provide quality services to our customers. We have developed a sprawling infrastructure facility to carry out our business activities in a best manner. Our infrastructure is installed with varied advanced machines and tools that are necessary for the production process. With the support of our in-house unit, we are capable of meeting the customized needs of our clients. To look after the systematic working of all the activities at our infrastructure, we have also appointed a team of adroit professionals. Owing to the superior quality of our products, we have been able to build a reputed position in the markets of Indian Subcontinent, East/Middle Africa, South/West Africa, East Asia, Middle East and more.